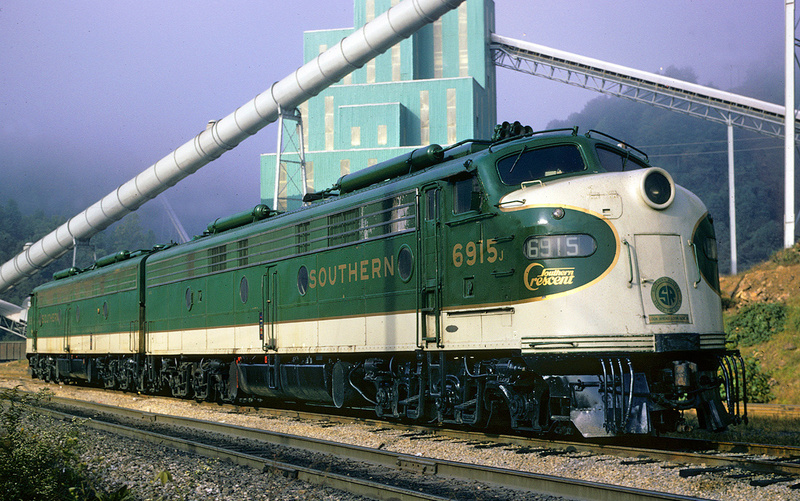 The Tidewater earned the distinction of being the last named train added to the Seaboard Air Line's timetable when it took over the duties of a previously unnamed local serving Norlina, North Carolina and Portsmouth, Virginia during the mid-1950s. It was eventually extended further into the Tarheel State and while never operated any further south the Tidewater provided several through cars to points in Georgia and Florida, working closely with other trains such as the Silver Comet, Sunland, and Cotton Blossom to do so. Its schedule during its more than a decade of service varied little except change in consists (later years saw it mostly fielding lightweight, streamlined equipment) and providing better coordination with other trains. Initially, the Tidewater found its way into the new Seaboard Coast Line system but was gone from the timetable within a year of the merger. 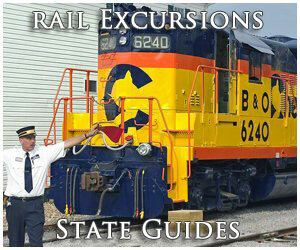 Two of the original components of the Seaboard Air Line included the Portsmouth & Roanoke Rail Road and the Raleigh & Gaston Railroad. The former was later reorganized as the Seaboard & Roanoke (S&R) and would extend from Portsmouth, Virginia to Weldon, Virginia (78.6 miles). The latter also ran into financial trouble after completing its original line between Raleigh and Gaston, North Carolina (via Norlina). 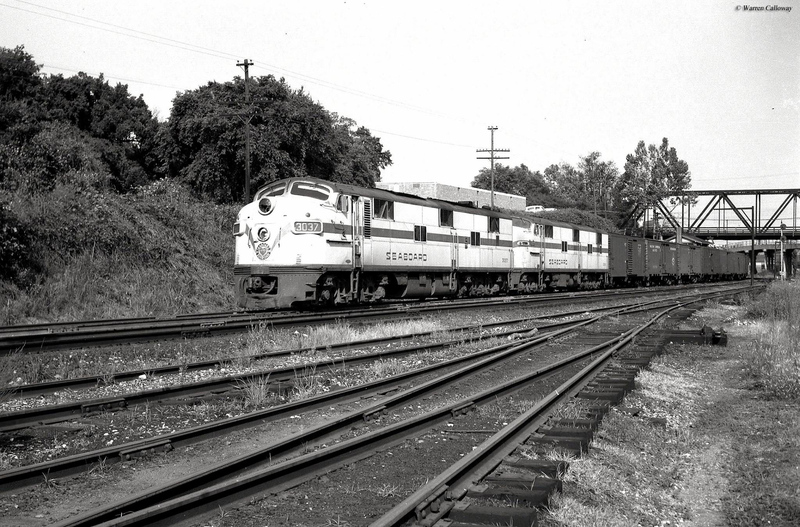 With monetary help from the state it was able to connect with the S&R at Weldon, completing the initial route of what would become the Seaboard Air Line. The 116-mile Norlina-Portsmouth corridor was the primary responsibility of the Tidewater, which joined the timetable as of November 1, 1953. 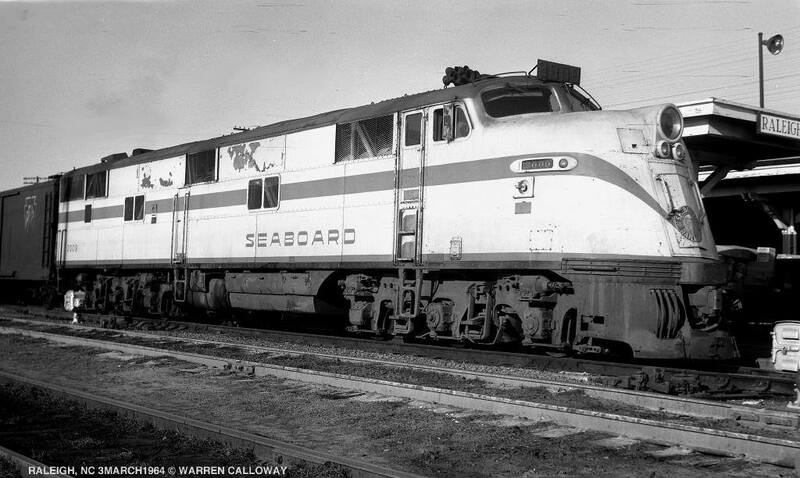 According to Larry Goolsby's book, "Seaboard Air Line Passenger Service, In The Streamlined Era" the train was the previously unnamed #17 (southbound) and #18 (northbound). Despite its short routing the Tidewater provided connections and through cars across much of the Seaboard's system. While the train terminated in Portsmouth (SAL's headquarters until 1958) passengers had the option of traveling by ferry across the Elizabeth River into downtown Norfolk until a new highway tunnel under the waterway was completed in 1955. Additionally, connections could be made at Norlina with the Sunland, Cotton Blossom (only until 1955 when this train was discontinued), and Silver Comet. During the Tidewater's early years it typically left Portsmouth at around 4:30 PM in the afternoon, arriving in Norlina a few hours later at 7:45 PM. Its northbound counterpart left Norlina during mid-morning at 9:00 AM and returned to Portsmouth for lunch at 12:25 PM. 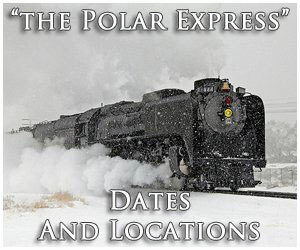 Since the train only required a few hours to reach each city it usually carried a small consist including mail/express, a through Atlanta-Jacksonville coach and sleeper, and a diner. 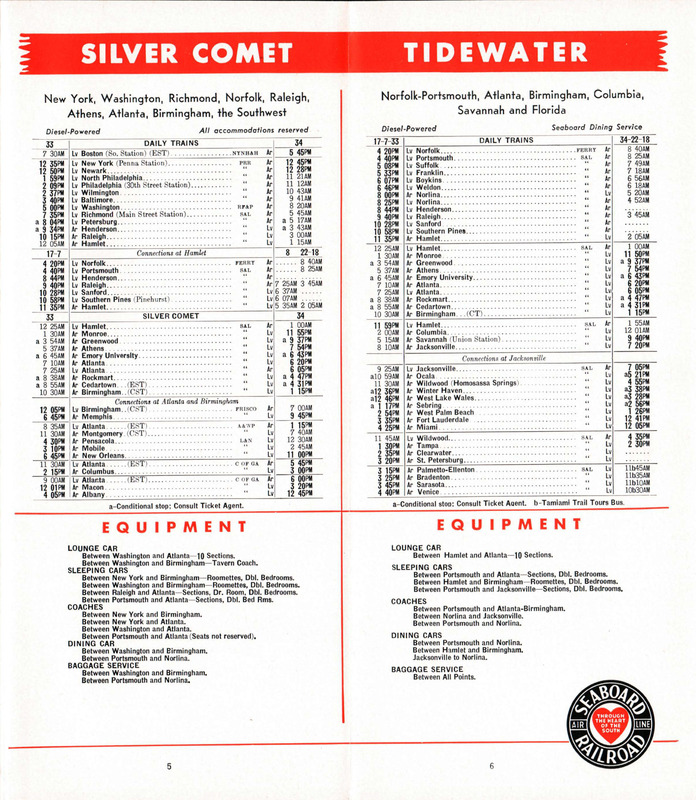 During its early years the Tidewater normally handled only a single lightweight coach (to Atlanta via the Silver Comet) but as time passed it acquired additional streamlined equipment (by the 1960s it ran nearly exclusively with such except for its diner and head-end cars). In October of 1957 the Seaboard extended the Tidewater southward into Raleigh, which provided for more fluid connections. A year later a truncated Sunland (Hamlet, North Carolina to Florida only) resulted in the Comet and Silver Star being the train's only connections at Raleigh. As Mr. Goolby's book notes the Tidewater was most closely associated with the Comet, as the Seaboard kept it closely timed with the latter's Raleigh arrival for passenger wishing to make through connections. 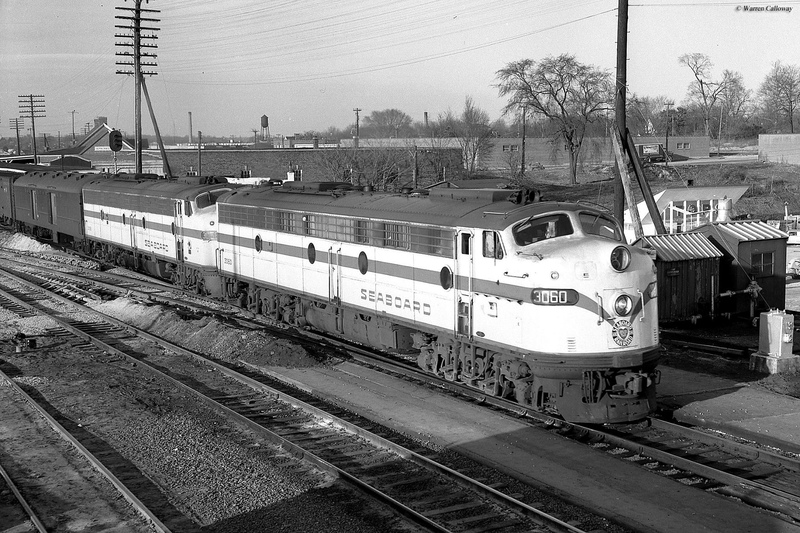 Since it had missed the steam era entirely the train was powered by whatever was available, usually either Electro-Motive E4s (these 19 A and B units remained in service through the 1960s), E7s (of which the Seaboard owned nearly three dozen), or E8s. Normally, however, E7s were up front. During 1964 the SAL acquired a batch of twenty SDP35s (#1100-1119), which were essentially standard SD35s designed for freight service with a lengthier frame to house a steam-generator. These new locomotives could be found leading the Tidewater and handling other passenger assignments in addition to their freight responsibilities. 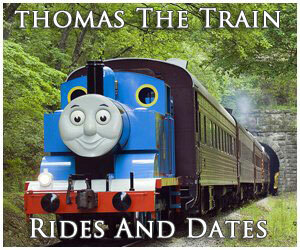 Over the years the train's schedule changed little although its consist differed from time to time depending on what through cars it received. 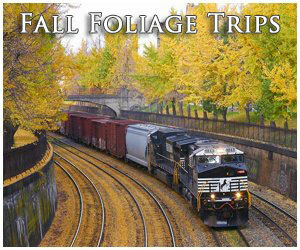 As ridership declined industry-wide some roads experimented with expedited, mixed-train consists. 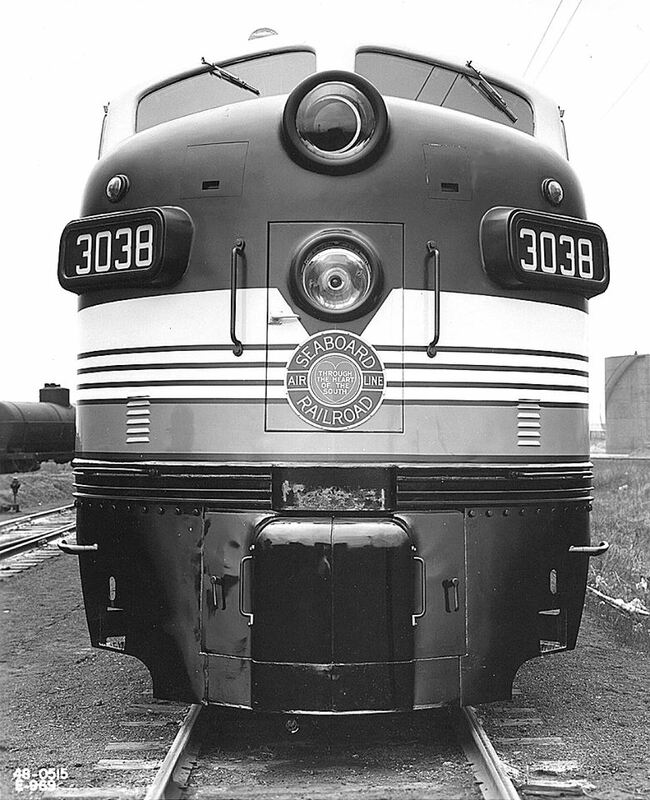 While this concept wasn't particularly innovative (mixed trains, or consists carrying both freight and passenger cars, had after all operated practically since the industry began) its implementation during the lightweight era was something relatively uncommon. During the fall of 1959 SAL tried the concept and tacked insulated boxcars onto the end of the Tidewater during Sundays. The cars were loaded with peanuts from the Suffolk Peanut Company headed southbound and handled by the Tidewater since the line's normal freight train did not operate that day. 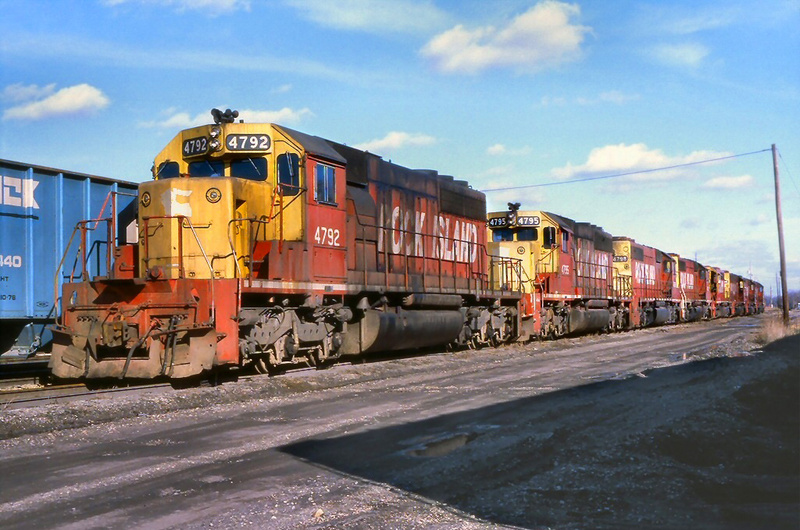 Apparently, the Seaboard was happy with the results and continued running freight cars (in this case autoracks) on the train during the 1960s. Interestingly, the Tidewater survived throughout the rest of the SAL years. 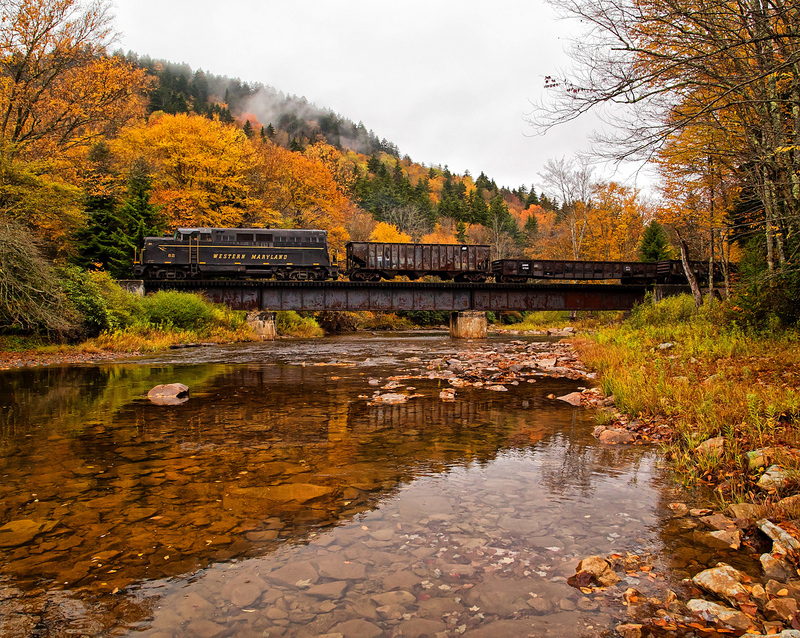 On July 1, 1967 the railroad merged with long-time rival Atlantic Coast Line to form the Seaboard Coast Line. When the dust had settled only a handful of former ACL and SAL trains were retained after the first few years of the SCL era. The Tidewater was the first casualty from the Seaboard side, making its last run during February of 1968.